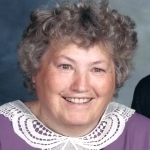 Retha Virginia McGahen, age 85, of McGahen Hill Road in Waterford, died Friday, January 25, 2019 at her home. Retha was born on December 14, 1933 in Cumberland County, New Jersey to the late Aplin Isaac Watson and Retha Virginia Hymer Watson. At age 14, her family moved to Northwest Pennsylvania and soon thereafter she met her future husband. On July 15, 1950 she married Winfield S. McGahen, and because he was serving in the U.S. Military, their family lived in California, Germany, and Maryland, before returning back to Waterford in 1970. “A good wife is a gift from the Lord”. Retha was this good wife, loving and caring to her husband, children and grandchildren. Her deeply rooted faith in God kept her praying continually for her family, and caring for people in need. Her joys in life included sharing time with her family, gardening, and a genuine lifelong love for birds. For many years, Retha was active at Washington Valley Christian Church where she taught Sunday School and Bible School. Family members include her husband, Winfield S. McGahen; three children- Katheryn L. Grazier and husband Donald of Waterford, Thomas R. McGahen and wife UnKyong “Kim” of Waterford, and Patty J. Mukina and husband John W. of Edinboro; and nine grandchildren and 14 great-grandchildren. Retha was one of ten children- Eleanor McGahen, Hazel McGahen, Shirley Engleheart, Thelma Rossi, Francis Morehead, Fredrick Morehead, Isaac Watson, George Watson, and her only living sibling, Elizabeth Price and her husband William of Erie. She was also preceded in death by a great-grandson, Nolan Price. 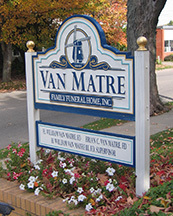 Friends may call at Van Matre Funeral Home in Waterford on Monday evening from 6-8 p.m. Funeral services will be held there Tuesday morning at 11:00 a.m. officiated by Pastor Michael Priestap of McLane Church in Edinboro. Burial will follow at LeBoeuf Cemetery.